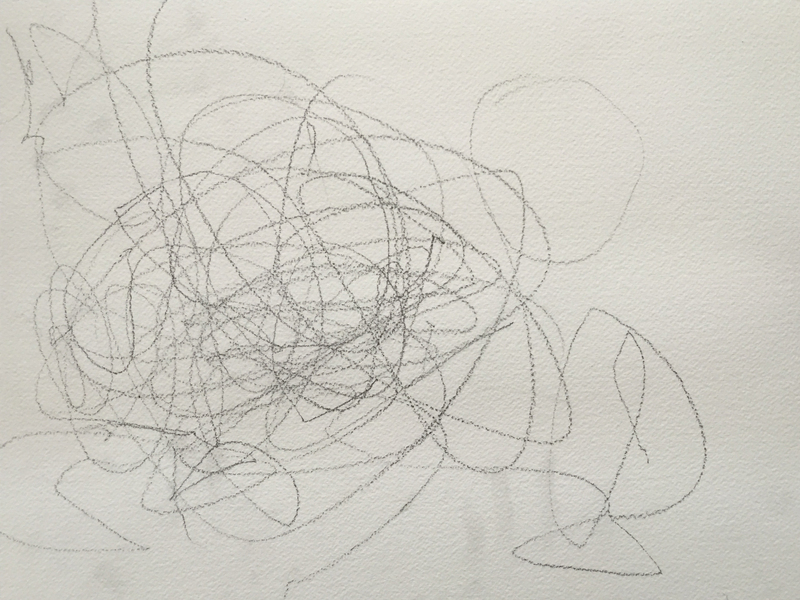 Today I gave my grandson, Will a drawing lesson. Being 2.5 years old, it didn’t take long for him to loosen up. At first he just scribbled in one corner of the paper, but when I showed him how to draw a big circle, he took to it like a duck to water. I don’t think Will quite understood the idea of collaboration, but I was sure he wouldn’t object to my addition to his masterpiece. He inspired me to loosen up a bit also. Below is the result of our collaboration. I am without my normal copy stand. The pictures were taken under different lighting conditions, thus the difference in quality. 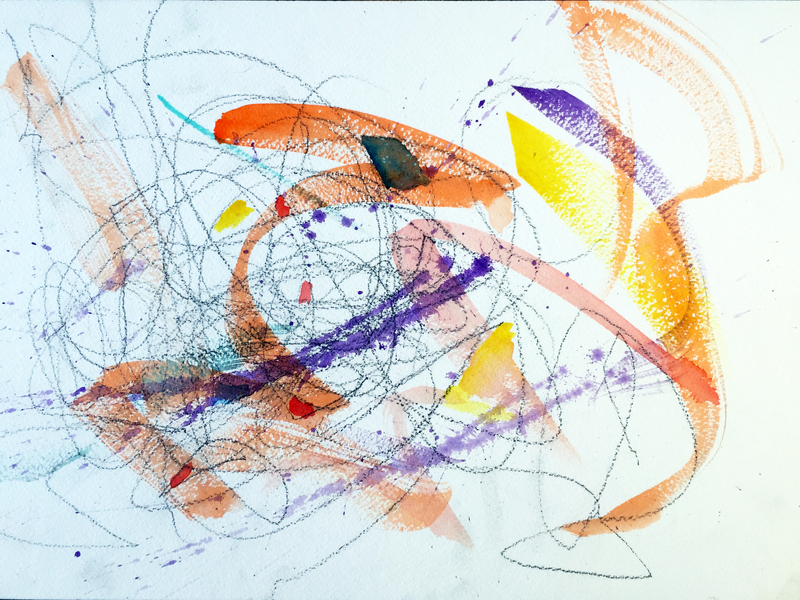 This entry was posted in Personal Stories and tagged artistic process, artwork, collaboration, creative process, creativity, drawing, drawing by a toddler, grandson, pencil drawing, toddler, watercolor. Bookmark the permalink. Thank you, Magny! I’ll pass the word on to Will! Looking forward to seeing them. Dumas’s work looks interesting. Thanks, William will be happy to hear that you liked his work!